Last week as many as two initiative groups announced their intention to form new political forces. 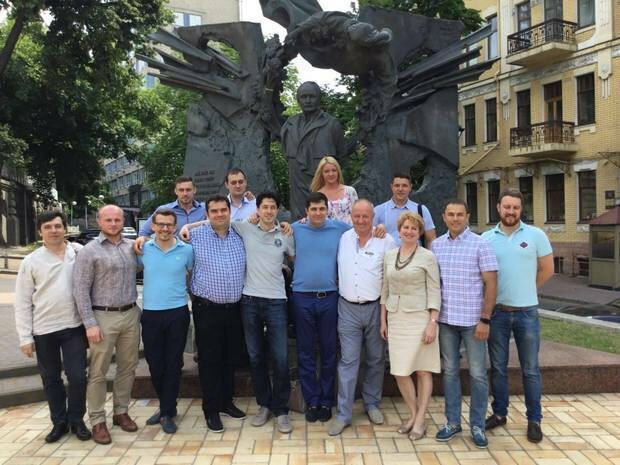 On 28 June, it was the Sakvarelidze-Kasko-Chumak team joined by Natalya Novak and Volodymyr Fedoryn. The Leshchenko-Nayem-Gatsko team did it on 29 June. The first are starting their party from scratch. The others use the Democratic Alliance as the foundation. Both position themselves as right-of-centre. These events have caused quite a stir in the local political crowd. And not least because all the mentioned names had previously been expected to launch a crusade against the authorities in one column, having united once under the banners of the Anticorruption Forum "named after Mikheil Saakashvili". The public is rather interested in the prospects of such a crusade and how things will unfold further. That is what LB.ua tried to learn. 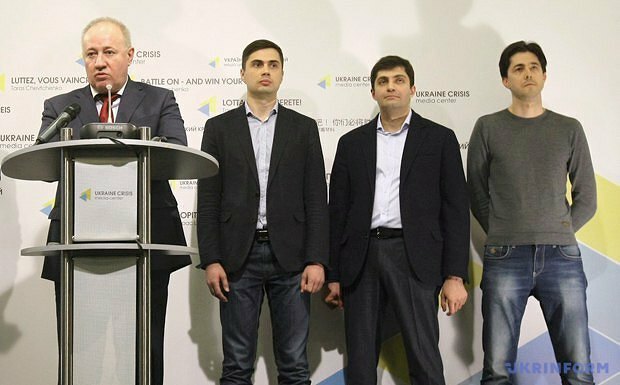 Viktor Chumak, Yehor Firsov, David Sakvarelidze and Vitaliy Kasko at a news conference in Kyiv on 29 March 2016. Let us start with the team of Saakashvili's associates. Conventionally, it can be divided into two wings. The first is represented by deputy prosecutors-general David Sakvarelidze and Vitaliy Kasko. Both made the names for themselves while in the prosecutor's office, particularly on the case of the so-called "diamond prosecutors" which is now hopelessly dying in court. Vitaliy Kasko left the office on time whereas David Sakvarelidze was dismissed by [ex-Prosecutor-General Viktor] Shokin several hours before his own shameful dismissal. Both did not hide they had political ambitions. All this time Sakvarelisze was roaming the country on a formal pretext of meeting students and local activists in the regions while in practice he was putting out feelers for a new project. Because the post of Odesa regional governor put certain restrictions on Mikheil Saakashvili, Sakvarelidze de facto became the frontman of the Georgian team. Viktor Chumak started thinking about his own party the first second he left the Petro Poroshenko Bloc (PPB). He managed to keep his MP mandate only because he was elected from a first-past-the-post constituency (No 214, Kyiv). Active consultations were already underway. Above-mentioned Natalya Novak and Yehor Firsov, who is now running in a first-past-the-post constituency in Chernihiv, were already looking up to Chumak. However an independent project fell through. Having tamed his own leadership ambitions (most likely temporarily), Chumak et al joined Sakvarelidze and Kasko who have by then had a minimal "production facility". The statement on the occasion of presenting the initiative group reads: activists have now started forming the future political force's offices in the regions. On my Left Bank TV show I asked Chumak whether they were using some "old" parties' documents or starting from scratch. Viktor Vasylyovych let me know it was the latter. Although we know how things get done: there are 349 parties registered with the Ukrainian Justice Ministry. Less than a third of them are active. Others are up for sale. Their owners will gladly make the whole package yours – from a stamp to formally (!) existing local offices. The only issue is the price. They are in demand because by local laws only political forces older than a year can run in elections. But since elections are a distant prospect, there is still time. Their competitors among the so-called "European optimists" (eurooptimists) also have time. There is no doubt they will have to compete on the same electoral field (which is not that big for democrats). However no special strategic differences between the two teams can be seen at the moment. A simple question from voters: why should I vote for these but not those? Both are young and successful and they say all the right words, write neat posts on Facebook. Is it enough to trust them with the future of the country? After all, when you vote for one or another political party, you should always bear in mind that their task is not just to make into parliament, their true goal is to come to power, form a coalition, government and appoint the prime minister. Saakashvili's associates promise to answer these intimate questions already after the holidays. They have tentatively scheduled their assembly for the autumn. Eurooptimists will meet as soon as on 9 July to cross all the T's at their founding assembly. The success of any party depends on several components. First of all, for it to establish itself, it requires a toolkit. Money. First. It is simply impossible to set up a party without a serious financial resource. I-m-p-o-s-s-i-b-l-e. Do not trust high-flown fairy tales about fundraising and support from the middle class. First, the country's middle class has been extremely exhausted. The economic decline, systemic help for Maydan and later for the antiterrorist operation (ATO) are telling on it. People may like to believe in the sweet speeches of political newcomers but if a conscious citizen happens to have 100 hryvnyas extra and faces a choice whether to give the money to an ethereal new political party or to quite particular guys in the ATO, 90 per cent of Ukrainians will select the second option. Second. Reliance on medium-sized business in the regions. Its representatives are people who have made a career at the local level and are ready to move on. Specifically they want to have their representatives in power. Even better – they would like to become this power. As they said in the memorable Oligarch film: "If we are afraid of the Kremlin and depend on it, we need to become the Kremlin." In principle, this scenario is absolutely fine plus it guarantees an infusion of fresh blood. Self-Reliance used it back in its time. And secured a decent result. The only difference was that in 2014, Self-Reliance was one of its kind, it was a new, forward-thinking political force with democratic values, which made it stand out in the good light among the old ones. Now Self-Reliance is one of them and has even partly discredited itself by its excessive accommodation and indecisiveness. However it remains a serious player on the field of young democratic forces. There are also the People's Front, partially the PPB (the ruling party, by the way!) and not to forget about the two columns of neophytes. 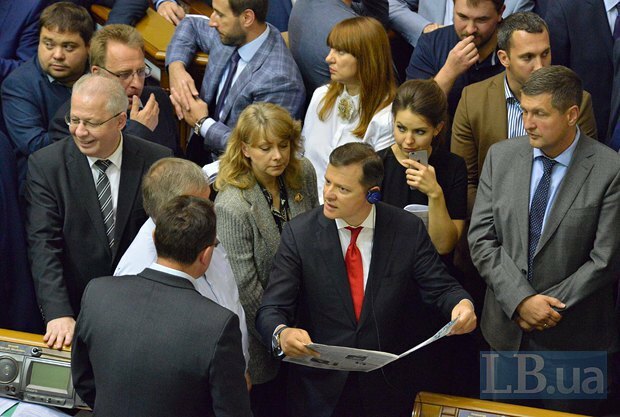 Very roughly Lyashko's Radical Party fits the mould. As well as Ukrop. And Anatoliy Hrytsenko, and UDAR (which may or may not stay together with the PPB). As a result, when the crowd is fair, there is not enough. Regional businessmen willing to invest in political projects are in single digits, those who require their support are dozens. Conclusions are obvious. Third. Oligarchs. Again, there are not so many "classical" oligarchs in Ukraine (including those in shadow) any longer. To "play" new projects, each of them needs serious motivation. If there is no motivation, there will be no rapid advancement of the project. A textbook example is Ukrop which was first widely believed to be associated with Kolomoyskyy but very quickly it became clear that Ihor Valeriyovych is too thrifty to be regularly spending money on a party which he may not have to use. But if he suddenly needs it, it will be a different story. In this case, Ukrop would be up for rebranding and a new leader. In the meantime… if it makes it, it is fine, if it falls through, so be it, there are many parties on the market (see above), a dollar per bunch. What is more, oligarchs are more inclined to invest in accomplished projects whose status, levers of influence and lobbying capacity they understand. Parliamentary forces are certainly a priority. But the general routine is as follow: to make large business interested, a political project needs, as in the song, "first to become and only then to be". Fourth. State funding. The most progressive law on party funding from the state budget has recently taken effect. The law is meant to make political parties independent from oligarchs. Booked amounts are not that big (especially if you compare it with the books of the Party of Regions) but it is still something. However, there is a nuance. The law reads: "A political party is entitled to receive state funding for its statutory operations if in the last scheduled or snap election of Ukrainian MPs its election list of candidates for Ukrainian MPs in the nationwide multi-seat constituency received at least 2 per cent of votes." Thus, the neophytes cannot apply for state funding. At least until after their first successful election. What I have said above is common knowledge, however the broad public still needs to be told this. The eurooptimists' funding is yet a subject for study. Above all, they themselves should give transparent answers to the emerging questions. As for the Sakvarelidze-Kasko-Chumak team, it seems they have a certain "start-up budget". Here is one but very simple indicator: do you know where their head office is? In Muzeynyy Lane. This is one of the most expensive streets in Kyiv. If you remember, when Donetsk's clan triumphantly "moved" to Kyiv (when Viktor Yanukovych was appointed prime minister for the first time), they nestled in Muzeynyy. The notorious shadow election HQ of candidate Yanukovych back in 2004 was also there. Now Kasko-Sakvarelidze-Chumak are setting up a new party in the same offices where Andriy Klyuyev used to stroll in a stately manner. It raises questions, is not it? It is either this or that. People. I have touched upon this lightly in the previous section. To make it more specific, let me recall a statement one of UDAR's leaders made in private when Klitschko's people were actively engaged in forming the party. "You just don't understand what a problem it is with the cadres. Those you can rely upon are few. More or less adequate people in the regions have all been taken. There cannot be many people wanting to do politics a priori. And those who wanted are in the PPB or Fatherland or elsewhere. There are only 'local idiots' left. We have a very limited choice." Our conversation took place in 2012. The situation has not changed since then. What is more, it got worse. The number of political projects has increased while that of social activists has not. Especially that of competent (!) citizens. Looking at Facebook, every other Ukrainian is in politics and one in three knows how to make things right. In fact, politics (of any level, from parliament to the regions) is a professional activity. I would like to stress: professional. Pure willingness, let alone self-confidence, is not enough for its effective implementation. Media resources. Two weeks on a mainstream TV channel will turn anyone into a electable politician. Practically anyone. It is a common belief those who have no arrangements either with the channel's owner or with the authorities cannot appear on the air in publicity shows. It is right and wrong at once. A one-off access is not a problem. If something happened and/or your young political force did something truly remarkable, you would get invited anyway. Just because these are the law of journalism and the world today is too transparent to manipulate it. But multiple access is a matter of arrangements indeed. However it should be remembered that election results are reached not only thanks to central mass media. There are also other channels of delivery, among which Facebook is last but one. And it is not about the reached audience but about Like being equal to a vote For at the polling station. One should be talking to electorally active citizens on other platforms too. Electoral field. Both yet-to-be established new parties tentatively described their ideology as right-of-centre. They did not spill much on this at all. When they should have. Ukraine has seen a lot of parties of "simply good people". And nothing solid has grown out of it. UDAR, the People's Front, Self-Reliance, Ukrop, to a lesser extent the Radical Party and Freedom, and others. All of them stood "for everything good against everything bad" back in their times, and voters supported them being guided by the novelty effect. The same way they voted for Serhiy Tyhypko's Strong Ukraine. You may have forgotten or are ashamed to remember, but it did take place. They were seen as new/young/professional/patriotic, they would not betray us for sure. And what these "decent" people think about… What are there ideological and fundamental values… no-one even asked these questions. When they should have. Until voters learn to ask these questions and, as a result, vote reasonably, disappointment is inevitable. Literally starting from the next day after an election. The questions like "Whom should we vote for to improve our lives?" or rhetorical "Well, we trusted them so much but nothing has changed again" and so on are inevitable. I am saying this not to rebuke young democrats but as a reminder about the lessons our country has not learned. Hardly does anyone doubt that at least one of the political forces in the making is being "tailored" to Saakashvili as its leader. However publicly it is unlikely to be discussed before the autumn. Georgia will hold a parliamentary election on 18 October. According to NDI (USA), Saakashvili's political force is currently supported by 13 per cent of Georgians whereas his key opponent's part associated with Bidzina Ivanishvili has 15 per cent. Over 50 per cent of voters are still undecided. This means they will make up their mind at the last moment. Consecutively, the future of a new coalition and, as a result, Mikheil Nikolozovich's chances of returning home, where he was stripped of citizenship and faces several cases, depend on them. 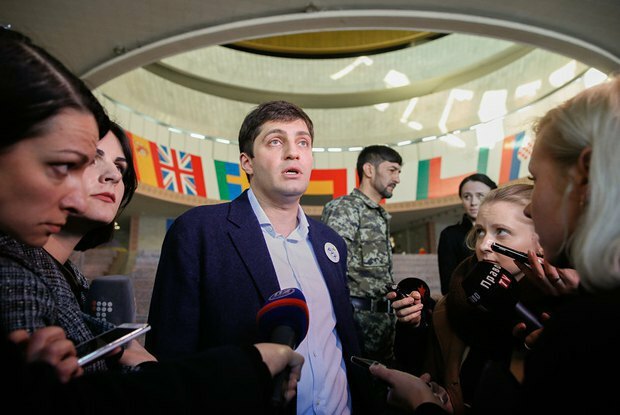 In one of his recent interviews, Saakashvili's associate David Sakvarelidze agreed that in the autumn Mikheil Nikolozovich most likely will have to return home. Nor for long though. And in a while – back to Ukraine "to continue what we have started here". To be frank, I can hardly imagine such a comeback. Not to mention that if Saakashvili does go to his home country, even if not for long, he is unlikely to do so in the status of the head of the Odesa regional state administration. It looks as if there is an agreement of sorts between him and President Poroshenko. Only these two know the details as they communicate directly, without intermediaries. Sources in the close orbit of the two suggest it was a "gentlemen's agreement": Saakashvili works in Odesa until the autumn without trouble but stays away from targeting criticism at the central authorities. What is later will depend on the situation. But I would like to repeat that this is just an assumption (although quite justified), we will see how it goes in the near future. 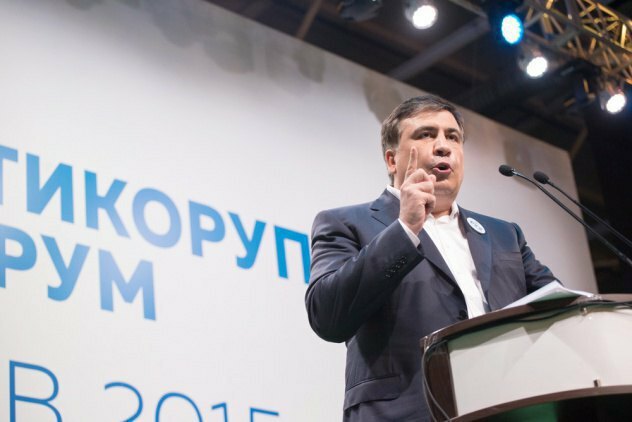 What is crystal clear is that the career of a party leader in Ukraine is not something Saakashvili really wants. What he wants at most is to sit it out. The importance of revanche in his home country is still there. None of the two announced parties has been properly established yet, they are still in the inception phase. Their creation, establishment of an actual (not dummy) network in the regions is hard work which is incomparable with energy spent on writing ardent posts on Facebook. The difference between the two is like talking to a hundred hipsters in a co-working place and a dozen of old grannies in a remote village. Therefore it is too early to do the guesswork and weigh the true electoral chances of the announced teams. Especially when it is definitely more than a year before the next election. If not two, according to the law in effect. Anyone who will try to persuade you that it is not so is a charlatan.